The 2013-14 figure skating season began on July 1, 2013, and ended on June 30, 2014. Below are links to the major ISU figure skating results for the 2013-14 season which include the Junior Grand Prix (JGP) and Grand Prix (GP) events. 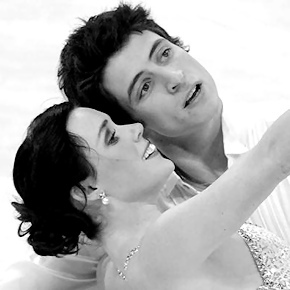 Tessa Virtue and Scott Moir of Canada are the first North American ice dancers to win the Olympic gold medal (2010). They won gold again at the 2018 Olympics. They are also the first Canadian ice dancers to win the ISU World Junior Championships (in 2006). More on Tessa Virtue and Scott Moir in the GS Forum.